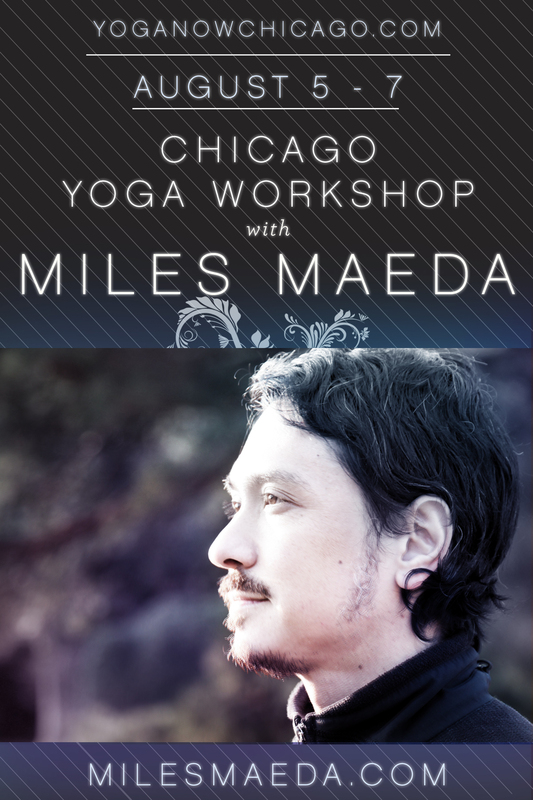 Miles returns to Chicago to offer this special workshop in modern methods and practical applications of yoga. His 15+ years of study and experience is well adapted to balancing worldly activity with spiritual practice with the goal of unveiling a harmonious and fulfilling life. Each session will introduce tools for use in your life, your creative work, your relationships, as well as in your own self. This first session is a 90 minute asana practice focused on creating a healthy and supported spine, openness in the hips and hamstrings, and cultivating mindfulness in breath and movement. This class is perfect for all levels and is recommended for those interested in the Saturday session which explores in more depth the movement elements. Gain new perspective with your practice and learn how to incorporate new movement methods and self-adjustments to traditional asana. This session will include healing breaths to support the health of the organs as well as a simple meditation for abiding in one’s naturally clear and aware state. Incorporating the tools and teachings of yoga in daily life is easy! Nutrition and the health of the body is paramount. Learn ten simple and practical yogic eating strategies for optimal health, plus helpful daily activities and ‘reminders’ for integrating our practice with our worldly affairs.